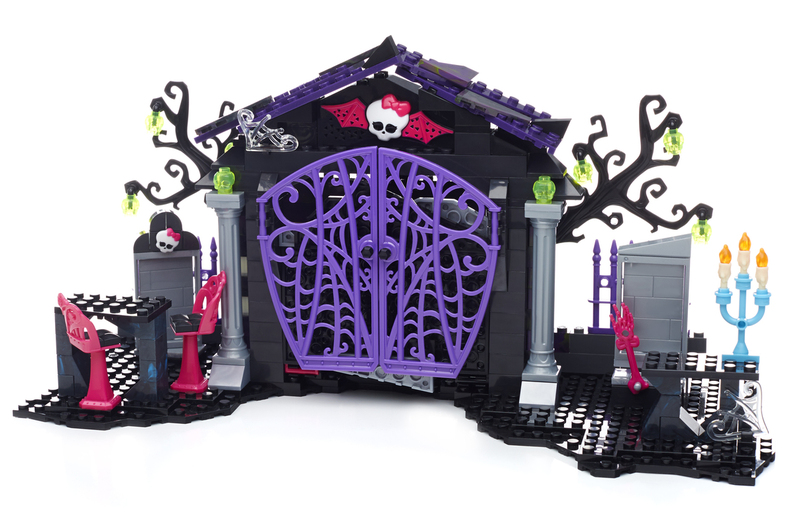 It’s a scream at the Graveyard Garden Party by Mega Bloks Monster High®, and everyone is dying to get in! 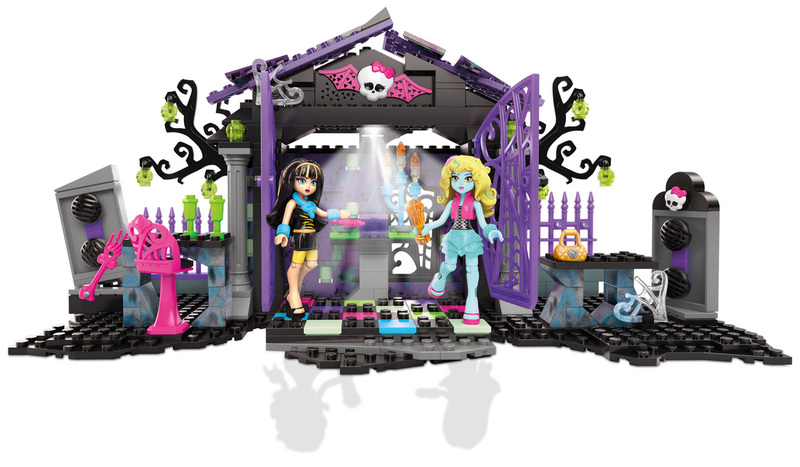 Build the graveyard, where party VIPs Cleo de Nile® and Lagoona Blue® are getting ready for the social event of the year. Open the cemetery gates to reveal a killer dance floor with real party lights, tombstones that transform into speakers, and a DJ Booth where you can request your favorite tune. 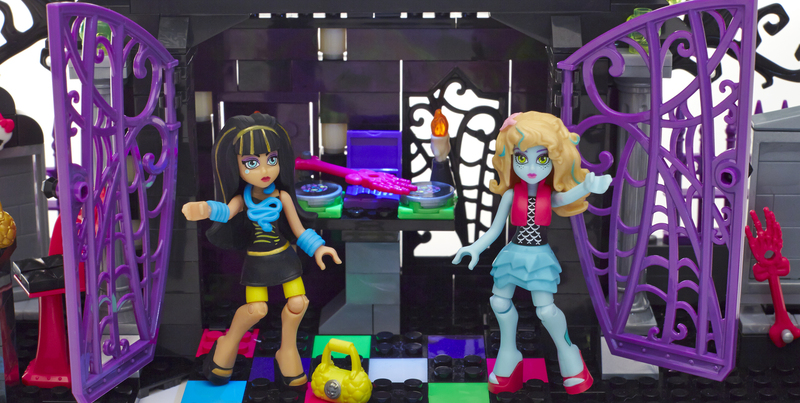 Press a button to play three real Monster High® songs and make sure to keep the music going so the party never dies! Ideal for ages 6 and up.